We were just too thrilled to wander across the changing terrains, sweeping crystalline lagoons and spectacular coastline! 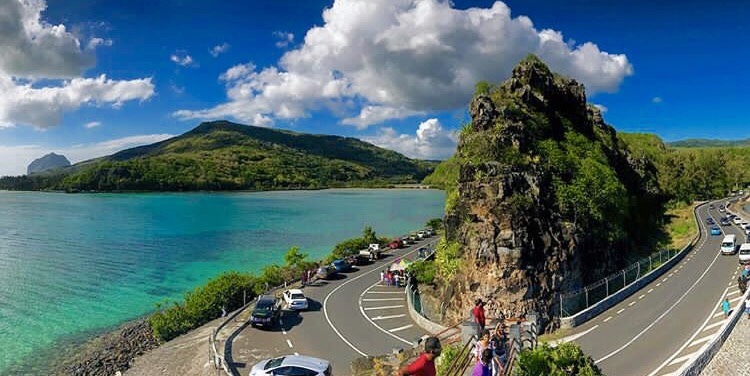 Mauritius has extremely scenic roads. There’s no complication in road tripping as the island is very small and driving takes about 2 hours from left to right and 2.5 hours from north to south. I know planning a holiday could be pretty much of a heck of a work. But you don’t need to go through all of the painstaking research. 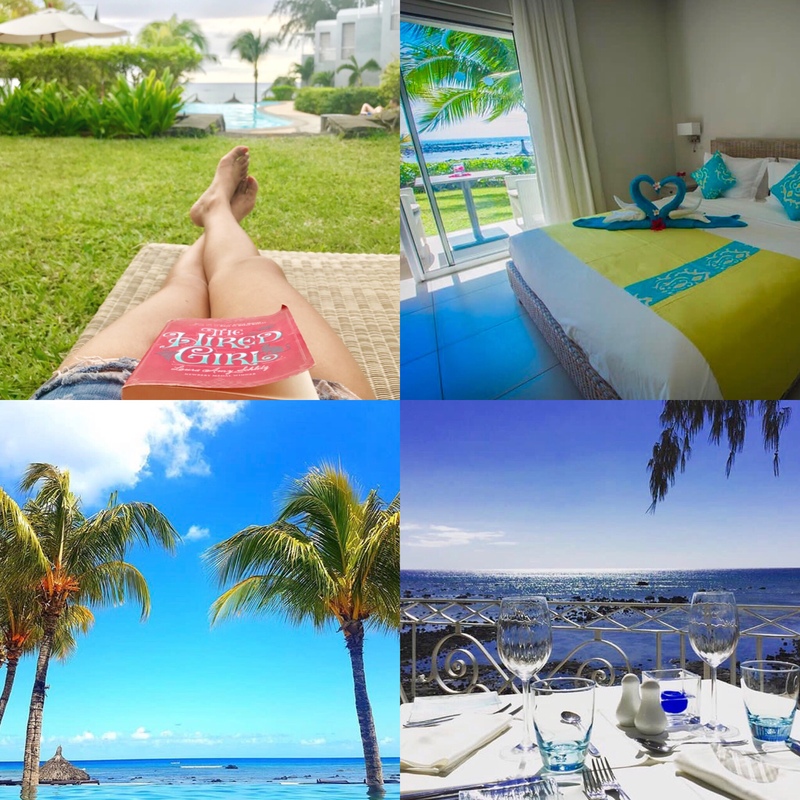 I’m here to provide you with all the necessary details for your trip to Mauritius! Ok so without any delay let me tell you about my very interesting and doable itinerary! We landed at the Mauritius airport in the afternoon and drove straight to our hotel. We had already rented the car online so after we came out from the arrivals we got our car keys at the parking lot after the documentation. (I’ve mentioned the details at the end of the article). 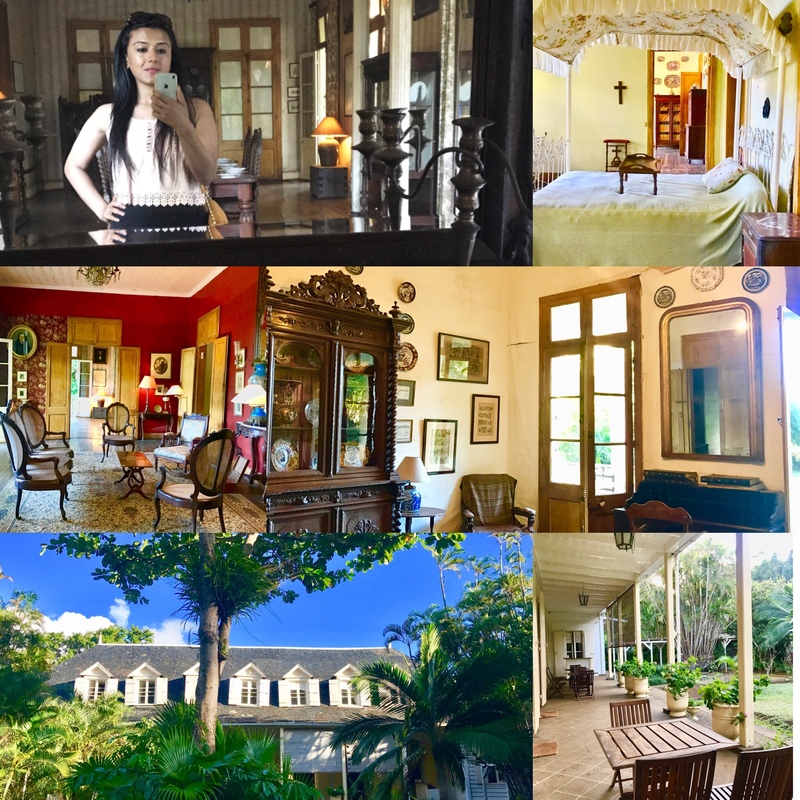 We drove down to our hotel after passing various small villages located at the junctions of the highway, sugarcane fields and stunning palm trees. We chose to spend our first day at the hotel. 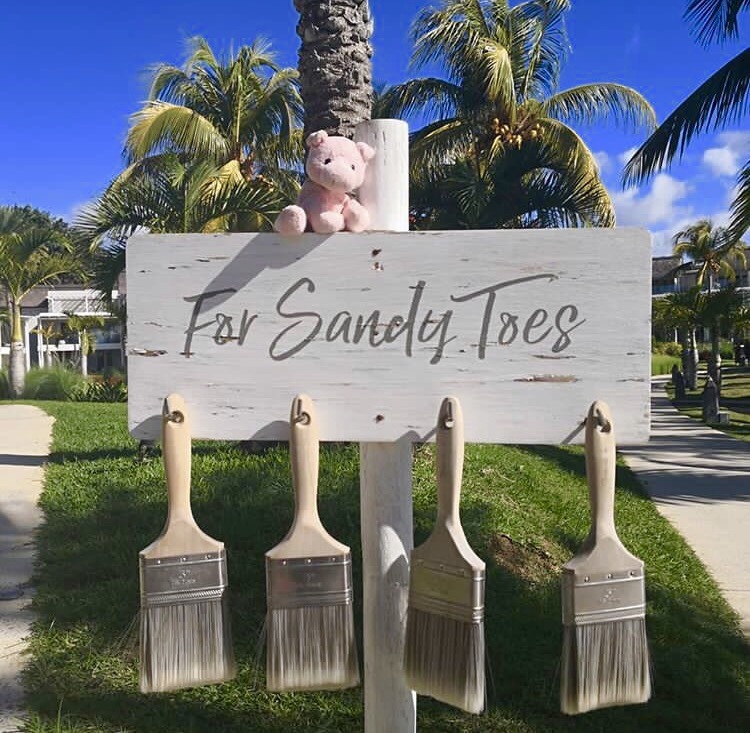 We immediately went for a quick swim in the pool, checked the entire property then just strolled in and around the hotel, checked out the small little boutiques nearby. The evening was spent at the beach watching the sunset and unwinding with chilled Phoenix! It was so dreamy to get lost in the colours, the silhouettes, the sound of the waves meeting the shore, Tropical life for sure is so magical!! We planned to check out the nearby places. 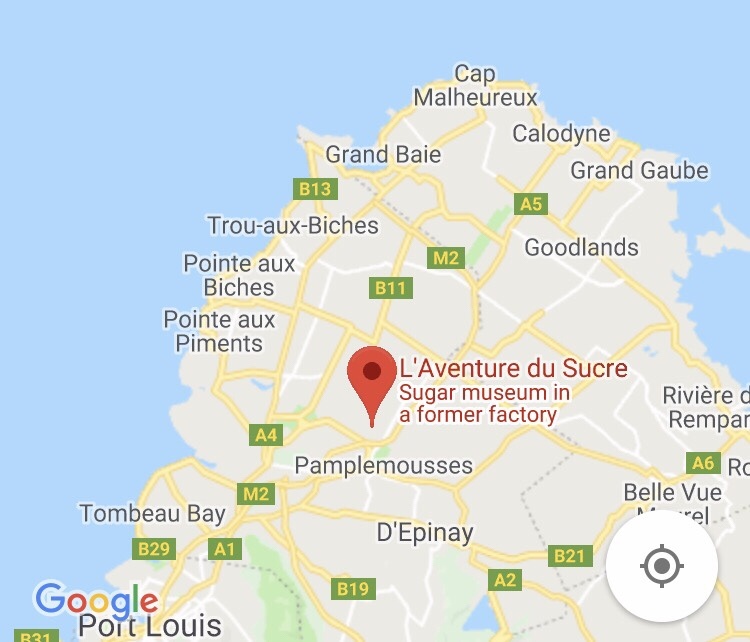 We first went to the famous sugar museum L’Aventure du Sucre’ which tells the fascinating story of the sugar industry in Mauritius. It’s quite educative, informative and inspiring museum which narrates the history of the island and of course the sugarcane industry. 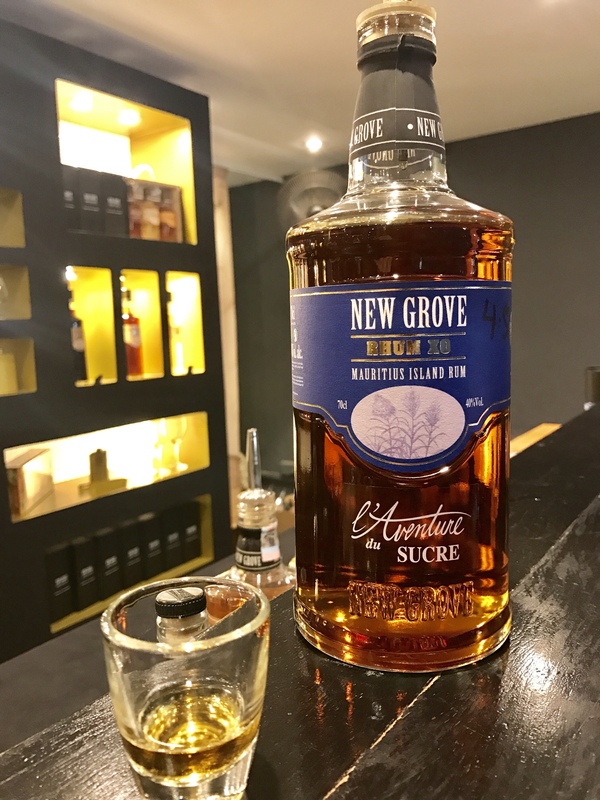 At the end of the tour you get to taste various kinds of Rums(around 10 rum shots), sugars and jams! 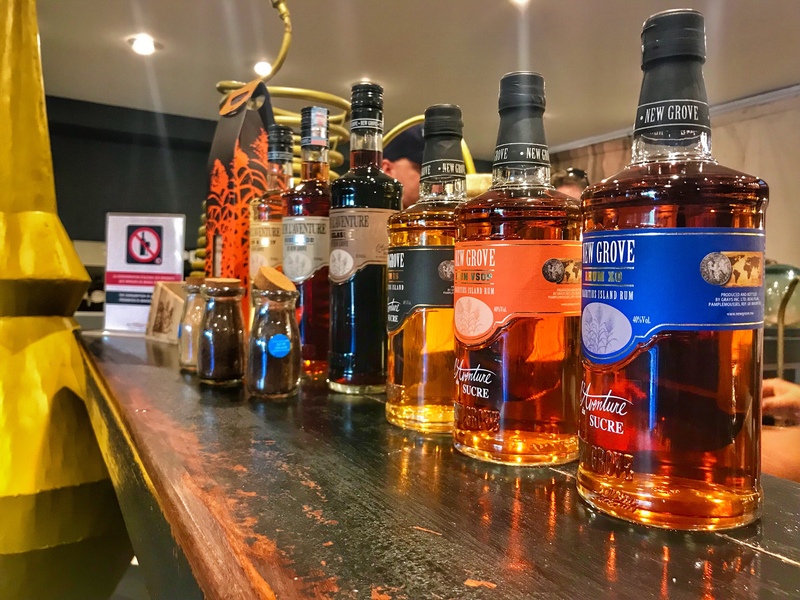 So all you history buffs and rum lovers gear up there’s something really exciting for you!! 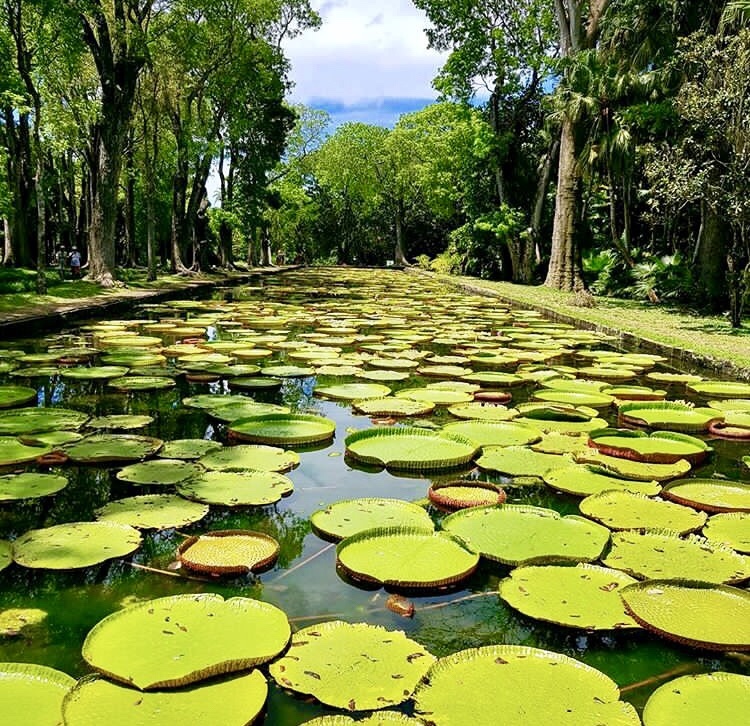 Next we headed to Pamplemousses, a botanical garden famous for giant water lilies. Some of these lilies are as big as antenna dishes and it’s definitely worth a visit! The Entry ticket is- MUR 200 per person. After exploring these places, we came back to our hotel around 6 in the evening and straight away jumped in the pool, by now you know it’s our favourite part!! 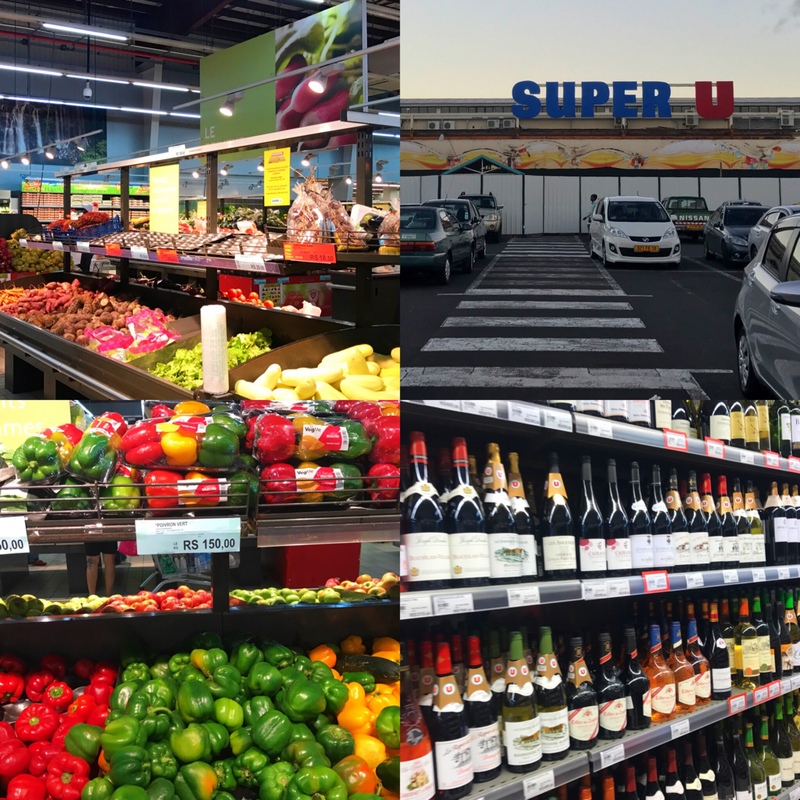 We wanted to buy water bottles and couple of other things so our hotel stewardess suggested us to check out “Super U Super mart” which is supposedly the biggest in this area and has almost everything you can think of! On top of our list of the evening was getting groceries. So we went to Super U market to buy water cans, snacks and other stuff ( It’s a road trip so gotta be well stocked ). The SuperU super market really became our friend throughout our trip! 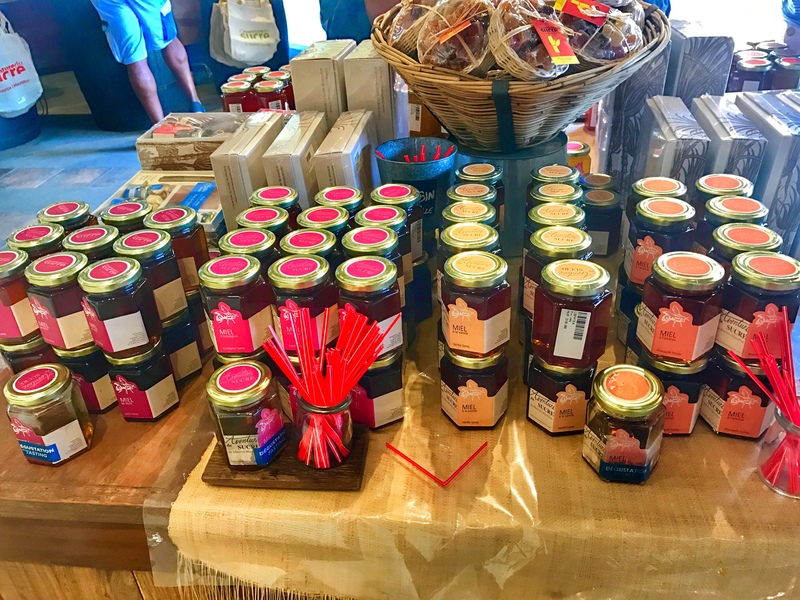 When road tripping you can save a lot of money packing food for the trip instead of eating out every meal. Moreover, you get the gift of time. By bringing your own food, you get to eat whenever and wherever you want and your stops can be much more efficient. Isn’t it? After buying the whole store hahaha we reached back our hotel around 8pm and ended the day strolling at the beach, listening to the crashing waves while feet covered with silky sand- Wow I just love the island life. And after the romantic stroll, we came back to our hotel and sat at our in house restaurant Le Skipper to gorge on some lip smacking delicacies. 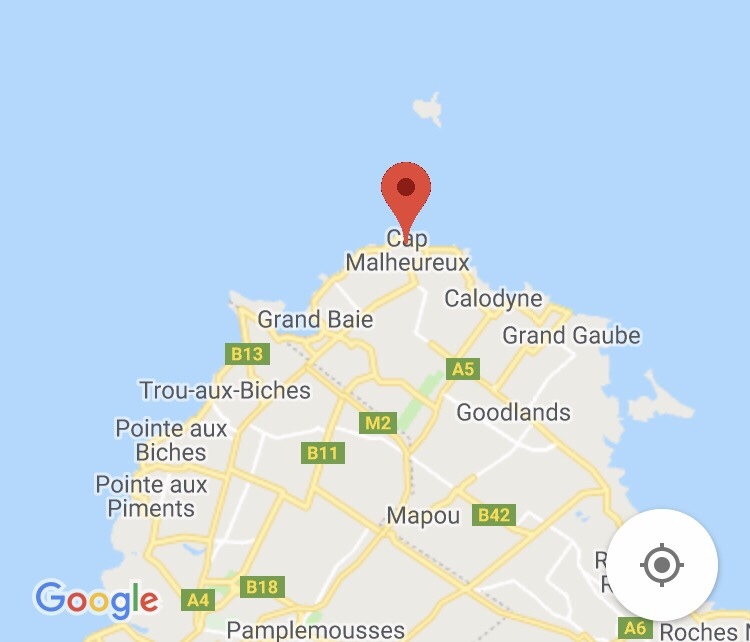 On our 3rd day we checked out Cap malheureux, Grand Gaube beach, Mon choisy beach and Grand Baie. It’s way too picturesque and I was blown away by it’s charmingly simple appeal. Afterwards we headed to Grand Gaube beach and after monkeying around for a while we went to Lux Grand Gaube. You gotta check out this property, it’s almost like a dream! 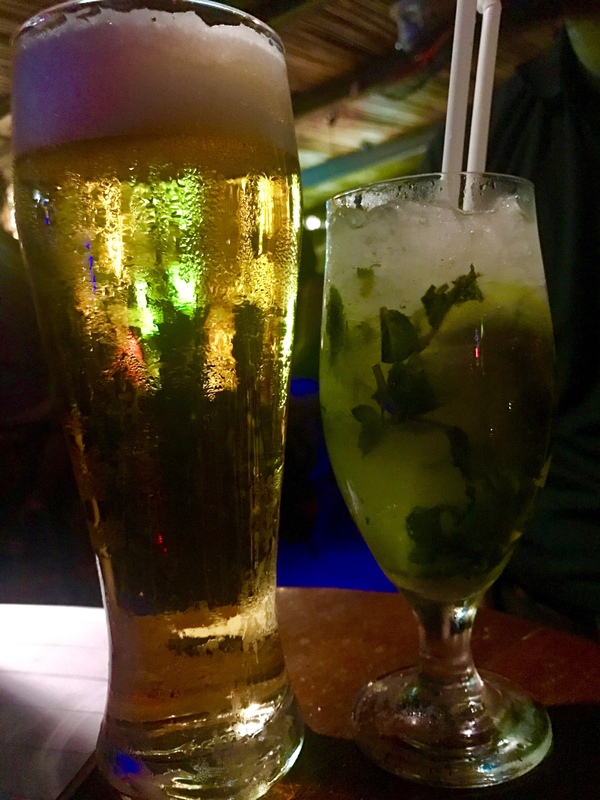 After spending some quality time here we headed to Mon choisy beach, Grand baie and then came back to our hotel by 6 only to go back to Grand Baie for its bustling nightlife! 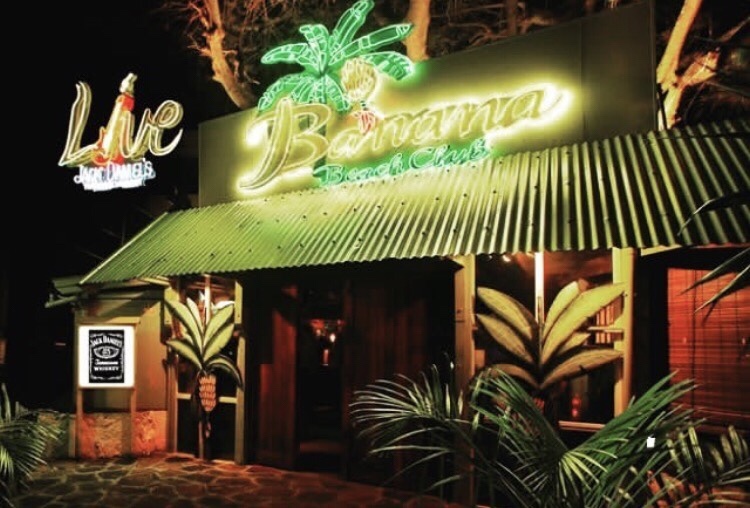 We went to dazzling Banana club which is hot favourite of everyone out there and a place on the island for live music, to mingle with the locals and just to chill out. If you want a table, come early, before 8:30pm, especially on weekends. What an amazing fun it was to get up each morning and set off after breakfast, going as far as we wished and exploring the entire island on our own pace! 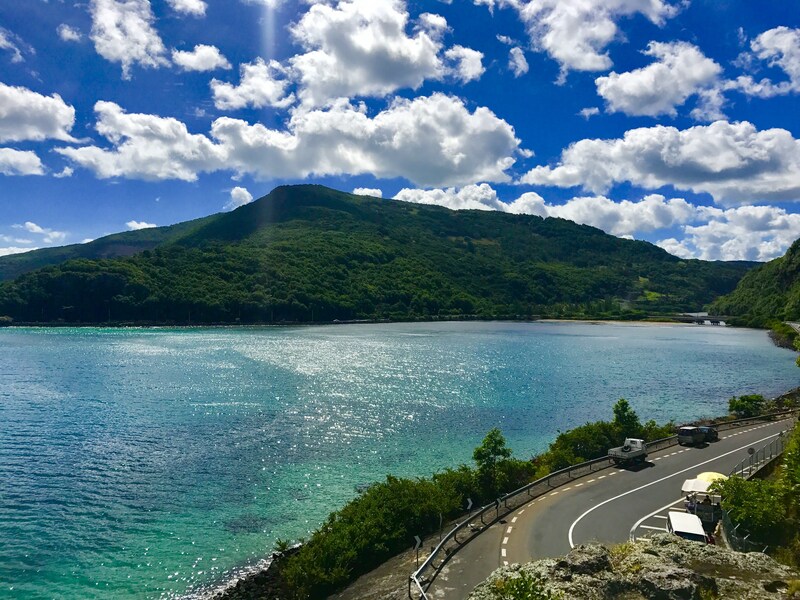 Between Le Morne and Baie du Cap is Maconde point where you will be able to witness stunning coastal view. It’s too windy up there but one feels like to sit there for hours and hours! 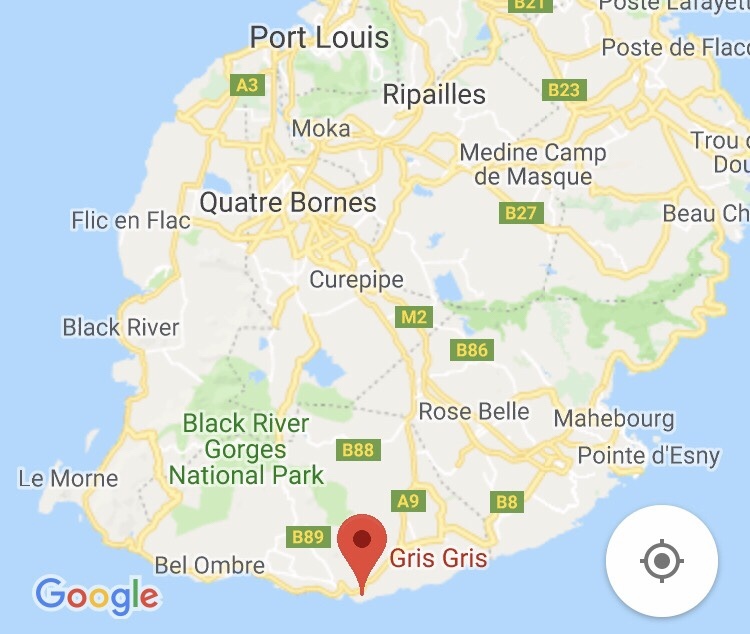 After this we drove to Souillac to see Gris Gris and I’ve to say that it was out of the world! 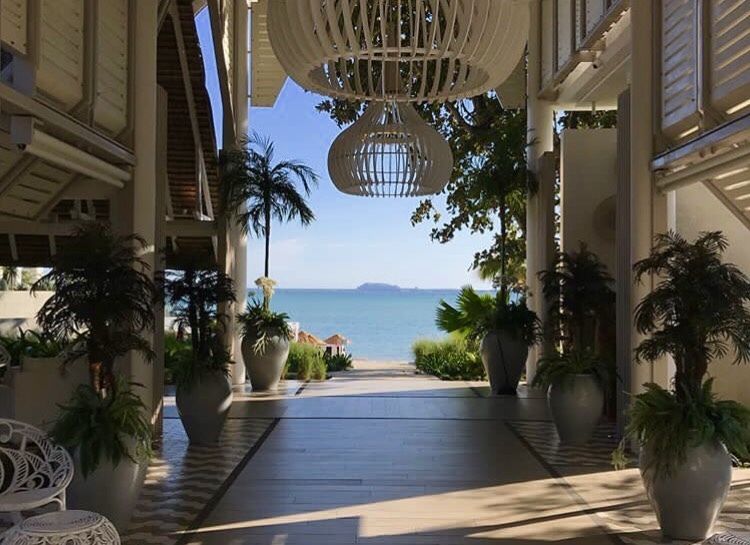 Any and every place on the island will leave you dumbfounded by the scenic pristine natural views such as the beaches, the tropical lush green trees, and local fishing villages. 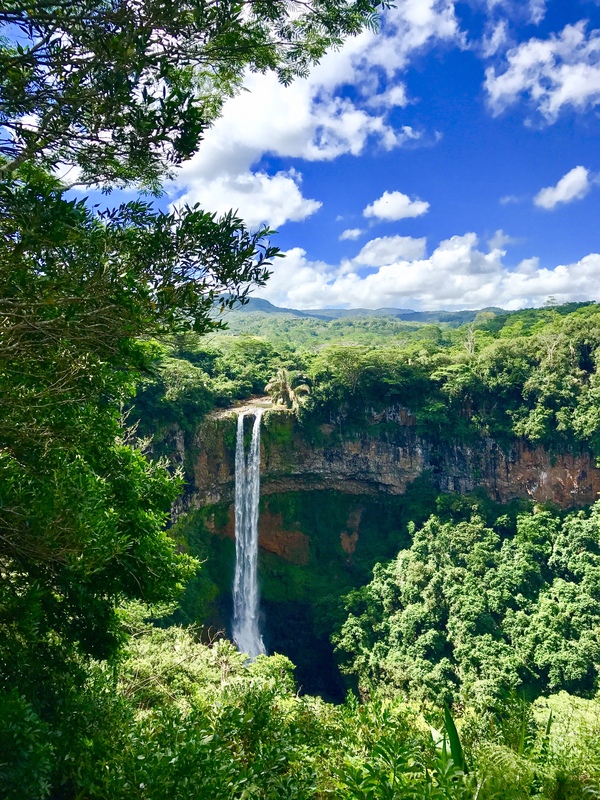 When in Mauritius go chase the waterfalls! 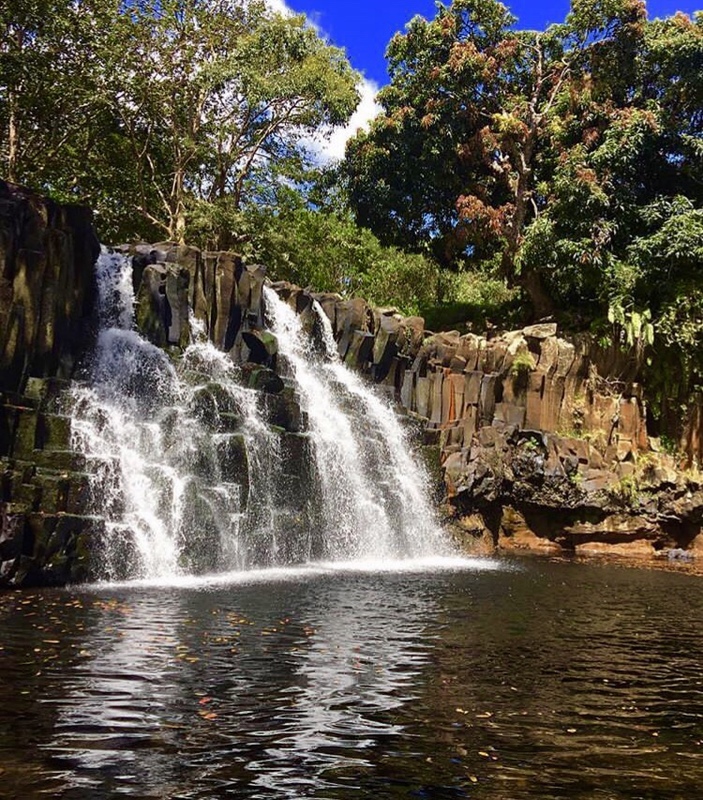 So after getting our dose of tranquility at Gris Gris we went to explore the Rochester falls, this little gem is hidden amongst the sugar cane fields- Beautiful and untouched! The road that takes you to the waterfall isn’t in a very good condition and for a moment I thought we were lost lol! The approach of this place feels like a maze. Nevertheless, the hike and the views we got to see were totally worth it. We used to wake up every morning to the sound of crashing waves which was a constant backdrop- So calm and therapeutic! So after fuelling up our tanks at the restaurant we started off to see Chamarel seven coloured earth. 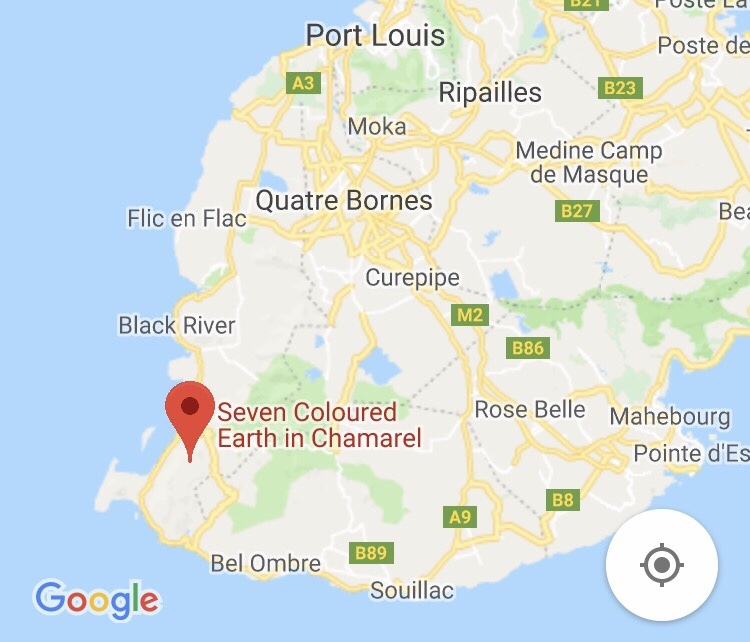 It had always fascinated me right from the day I started researching for Mauritius trip so I couldn’t wait to check this out. These unique sand dunes comprise of seven different colors, from red to yellow to blue and green, all gorgeously merged together like some sort of shadowy illusion. There’s also a small playground, curio shops and, OMG huge tortoises! You can see the waterfall from the upper deck situated at the Chamarel Seven Colored Earth reserve, or also head down the trail to enjoy shallow water swimming at the bottom of the Chamarel falls. 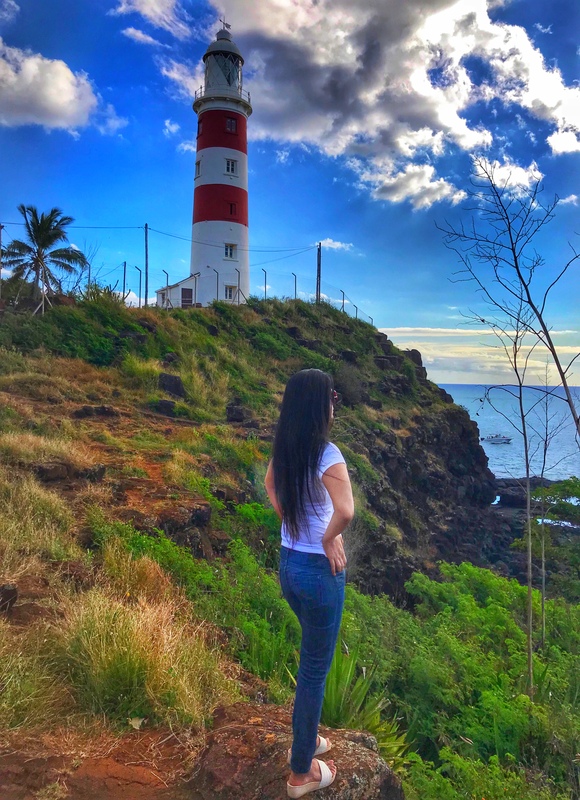 After visiting Chamarel we tripped along the beautiful panoramic route to our next stop Flic en Flac beach followed by Albion lighthouse. I can’t get enough of lighthouses and I don’t know why!! I find them so serene and mysteriously stunning! We got up early and got ready to explore the rest of the island. In the morning everything is still so calm, in my opinion you can’t start your day in a better way. Pointe aux piments beach was right next to our hotel so before heading to explore our next set of places we though to pull over and soak in the serenity. This beach is rocky and the currents are quite dangerous so swimming isn’t allowed it but offers a spectacular view of the ocean. You can just sit and enjoy the vastness of the mysterious ocean! After spending sometime we started for Black River gorges which is spread over 6,700 hectares, it’s a protected rainforest. And as we explored, panoramic vistas took our breath away, Yes it’s that beautiful! Next on my list was Eureka Mansion Creole. 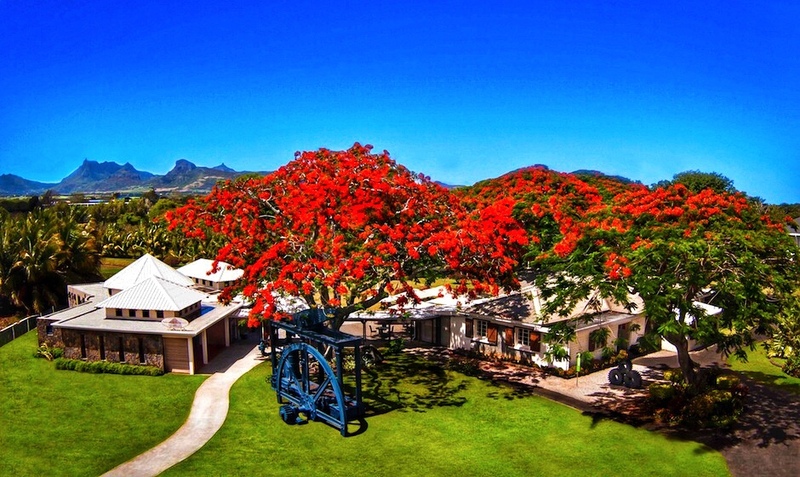 Do you want to go back in time and see how the Mauritian colonials lived? Well I definitely wanted to so I had to visit this so-called “House of 109 Doors-Eureka Mansion”. It preserves the past, with its impeccable collection of antique furniture and architecture. 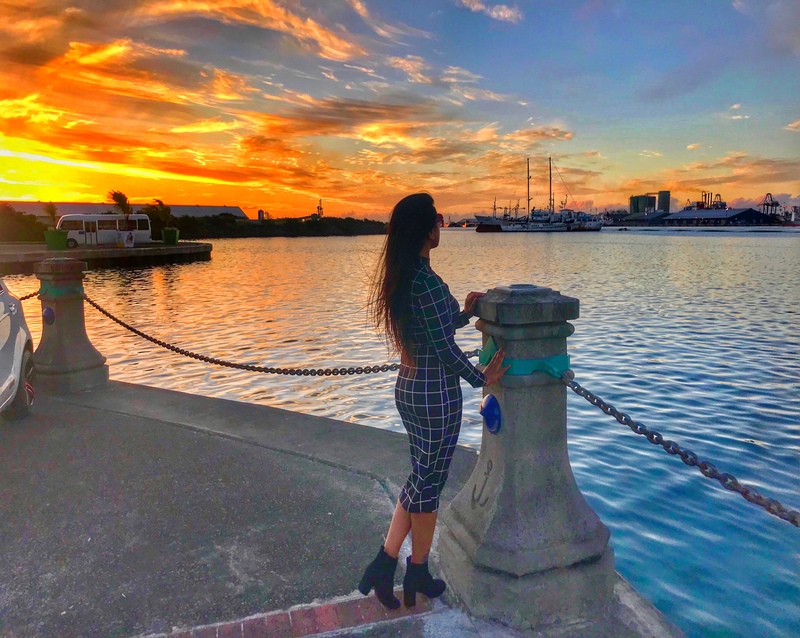 Le Caudan waterfront,Port Louis- Take a walk along the harbour, have a drink, watch the gorgeous sunset, listen to the music, enjoy a meal, shop your heart out, try your luck at the casino or watch the latest flick! There are so many options that choose from and I absolutely loved this place. Central market Port Louis- Haggle, Haggle and just haggle! Well that’s the key to shop here. 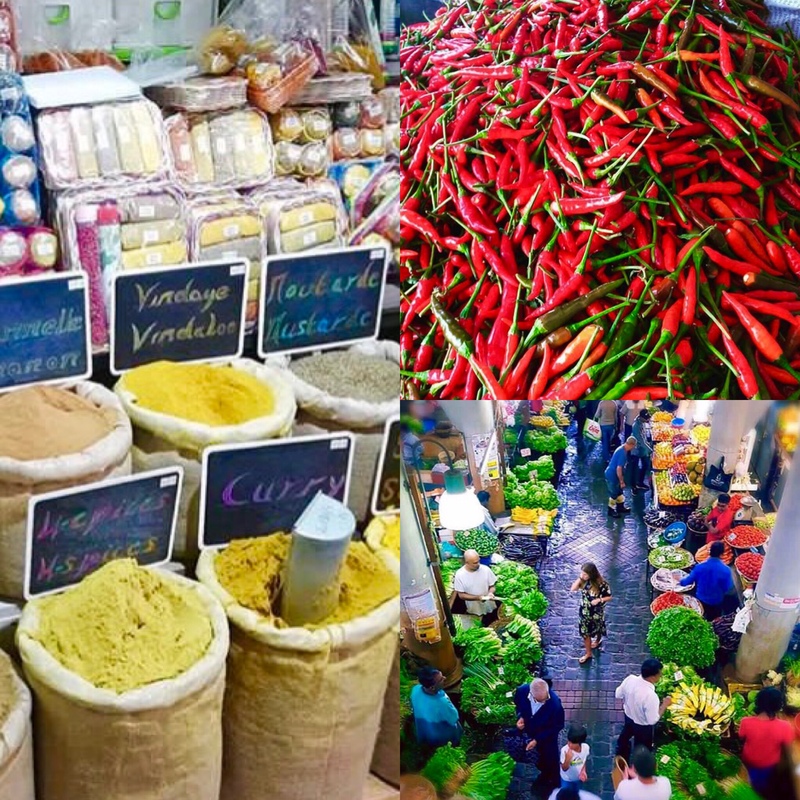 In Central market Port Louis you can find veggies, fruits, spices as well as fresh meat, poultry and seafood. 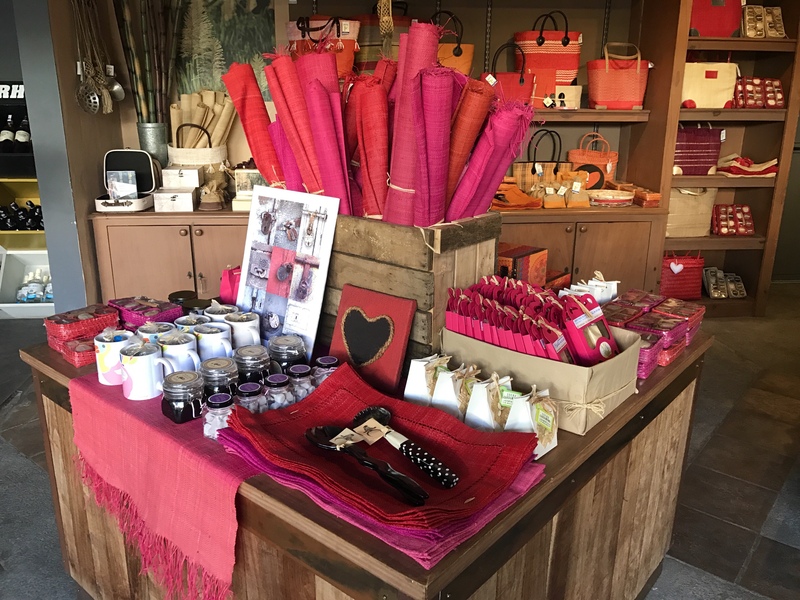 You can also buy various handcrafted souvenirs and gifts, but you got to keep in mind that you must bargain all the time. Not to mention it’s also one of the best places for local street food. Walk around the central market and try almond falouda (milk-based drink with tapioca), fruit salad, dholl puri (pea flour pancake), and a farata (wheat flour pancake). Now this’s something you just can’t afford to miss and your trip is incomplete without visiting this gorgeous island! This’s going to be the highlight of your trip, and yes you can thank me later! We booked a luxurious catamaran cruise from our hotel manager for a complete day tour. 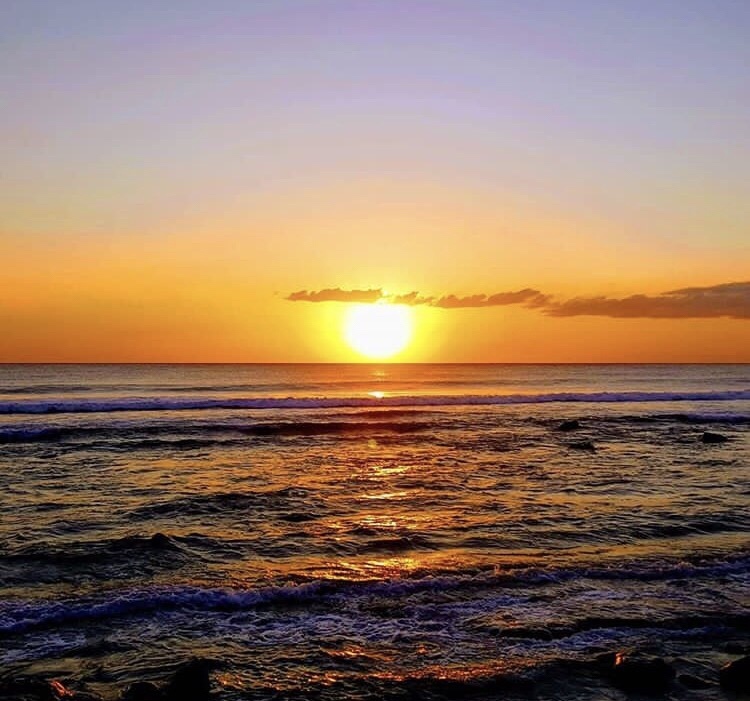 Catamaran Cruises departs from Trou D’eau Douce – situated on the central east coast of Mauritius. 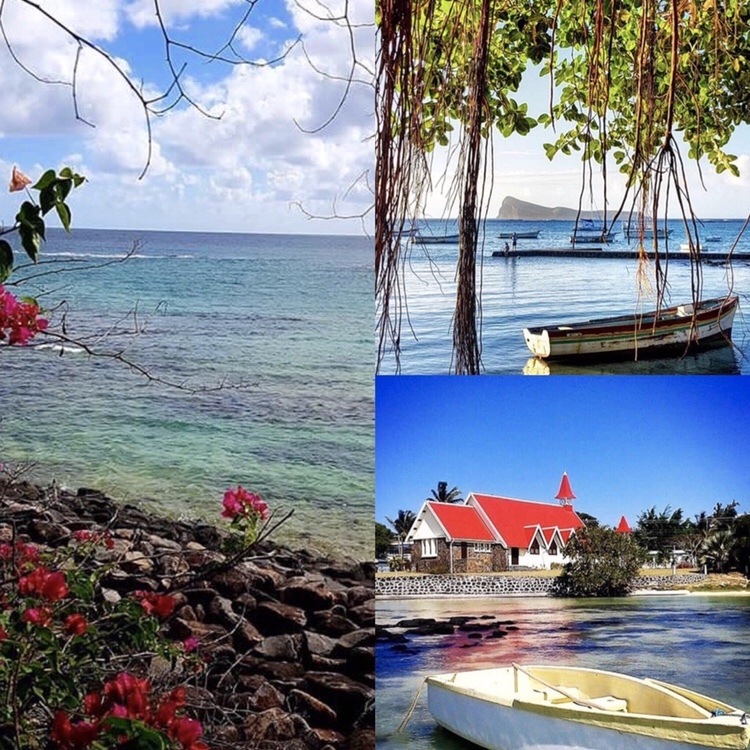 Ile aux cerfs is about 52 km from Port Louis, the capital of Mauritius. If you don’t want to spend much then you can opt for speed boat as well which is way cheaper then catamaran. 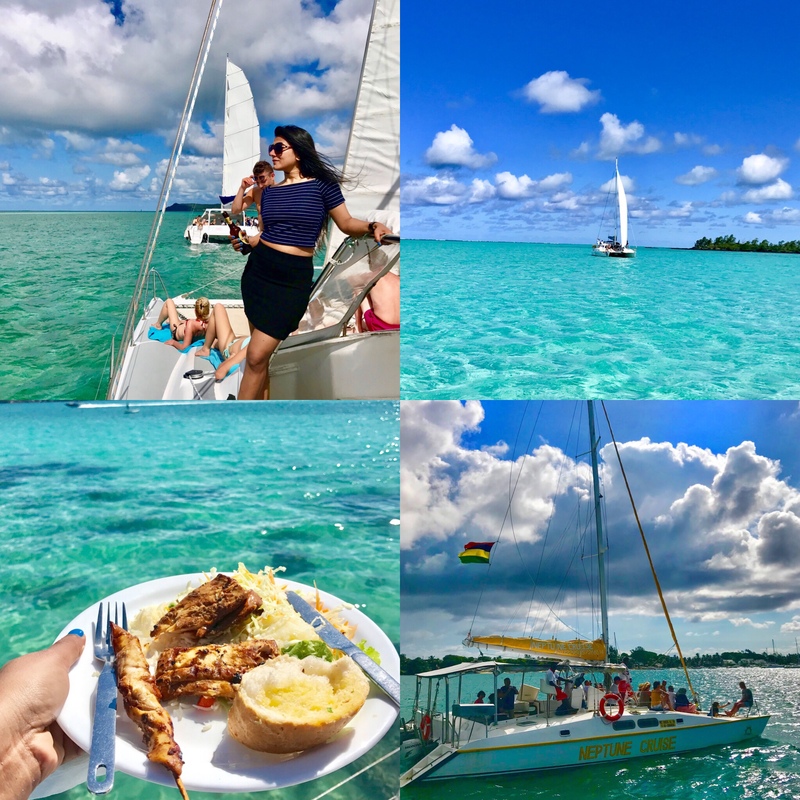 We utterly enjoyed the mouth-watering barbecue-style lunch with beverages in the luxurious surroundings of our catamaran. 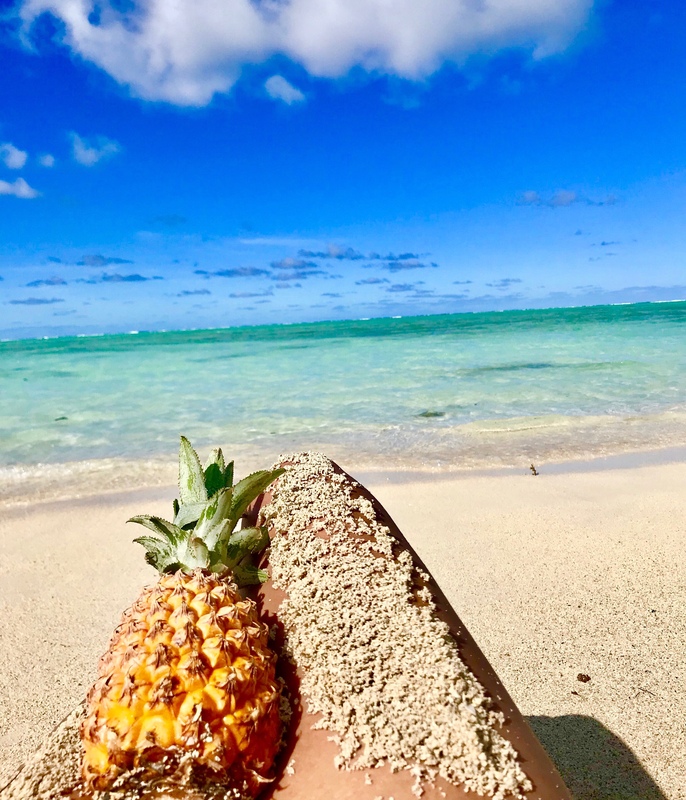 After reaching the island we were free to while away the afternoon, parasailing, swimming, snorkeling in the colorful marine life or just kicking back and relaxing in this true paradise. So after a pretty long and eventful day or short night or whatever you may want to call it we reached the airport and boarded the flight back home, with memories full of fun, adventures, laughter and loads of love! This trip really showed us once more, how mighty, impressive and stunning mother nature is! 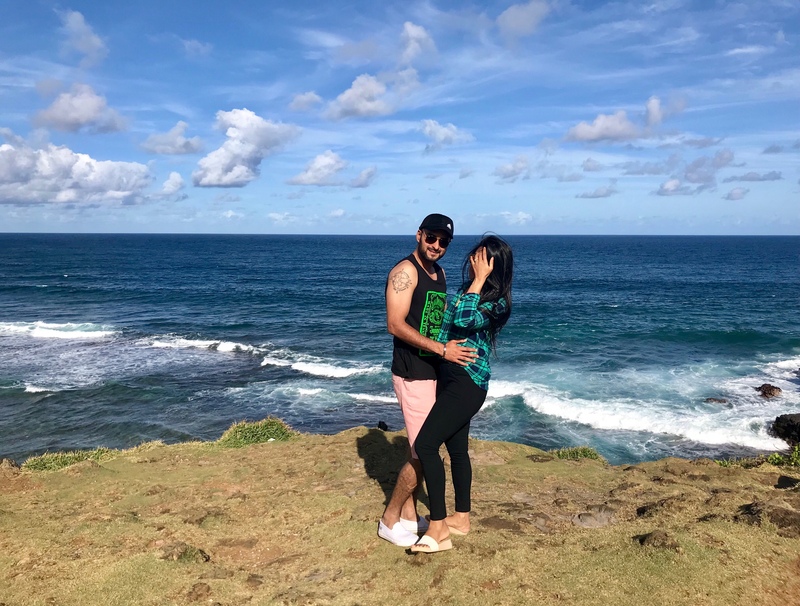 I’ve to admit that it for sure was a trip of a lifetime and I can just hope everyone who’s fortunate enough to go to Mauritius will have the same amazing experiences as we had. Thank you so much Mauritius , it was a real pleasure!! 1. Your domestic driving License works (Upto 4 weeks) so you need to get an international license only if you’re planning to go for longer duration. 2. Rent the car online, that’s what we did and upon reaching the airport we were handed over the keys by the company’s staff member after the necessary documentation. 3. While renting a car you need to show your driving license, passport and hotel address. Some car agencies will put a hold on some funds from the card until you’re finished with the car. You should use a credit card when picking up the car. 4. GPS wasn’t updated so better would be to download offline maps on your smartphone. This will save extra bucks which one has to pay for the GPS fitted vehicle. 5. DO NOT use your phone while driving, don’t even hold it(Yes they’re quite stringent about it and it’s illegal). If you’ve a good smartphone, download the offline maps and check the route beforehand and save yourself from getting in any kind of trouble. You can buy a phone holder and fix it on the dashboard to see the maps on your smart phone. 6. Test drive the car to get hang of the vehicle. 7. Never ever forget to take the pictures because many a times while returning the car they’d charge unnecessarily even if it’s a inconspicuous scratch. 8. Driving Conditions- The roads are pretty good, Cars drive on the left hand side and the priority is for vehicles coming from the right. 9. 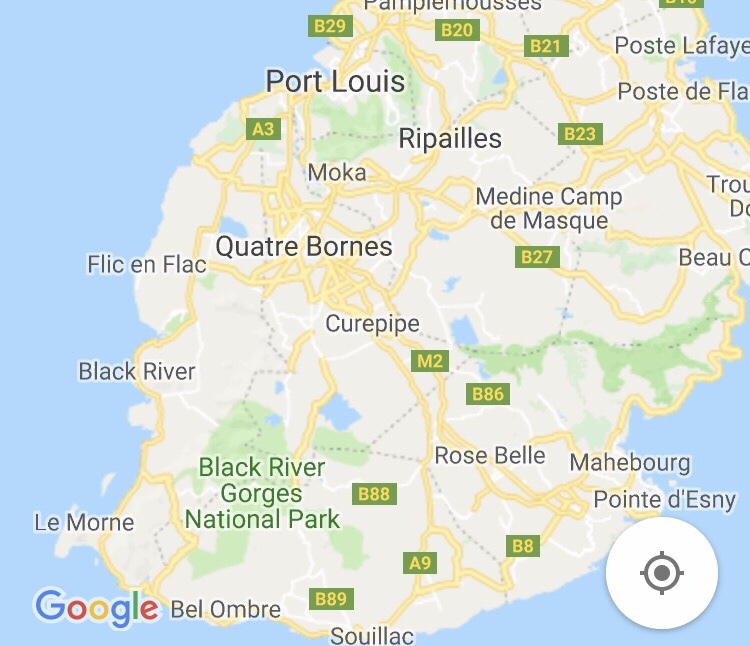 Mauritius has only one motorway. The motorway starts from the airport situated in the South East of the Island and ends in the North of the Island at Grand Bay. 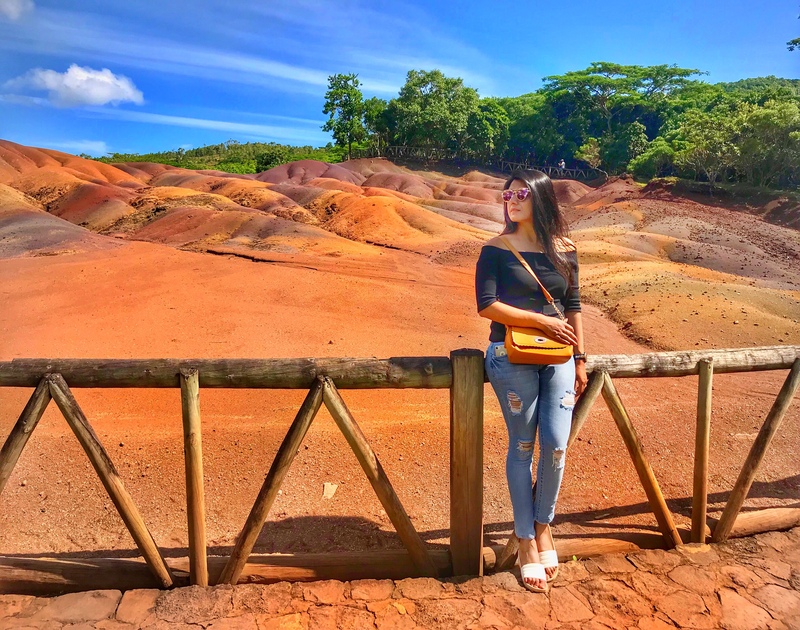 Hey I hope this article helps you to plan a trip to Mauritius. For more details do check out my previous articles on Mauritius. Which is your favourite road trip? Do you prefer having your own mode of transport during travels? For any query do drop me an email or you can ask in the comment section below. I’d love to answer all your questions and help you plan your holiday better. I love these tips and tricks! It really does sound like a magical trip! 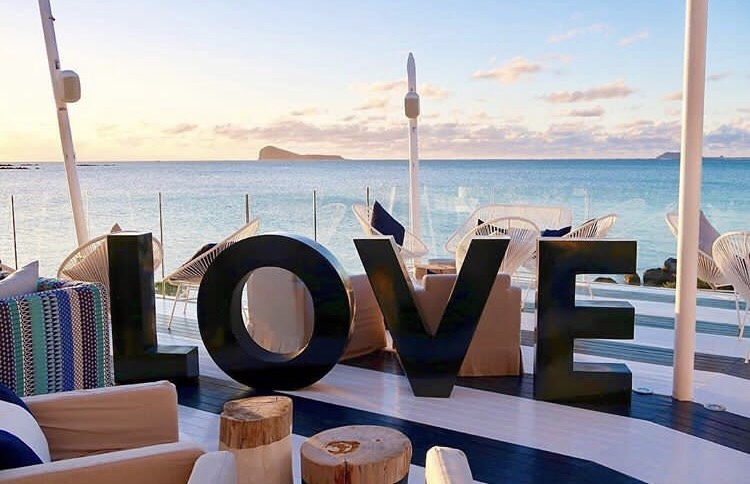 I’m glad you liked them, do plan to go to this magical island!